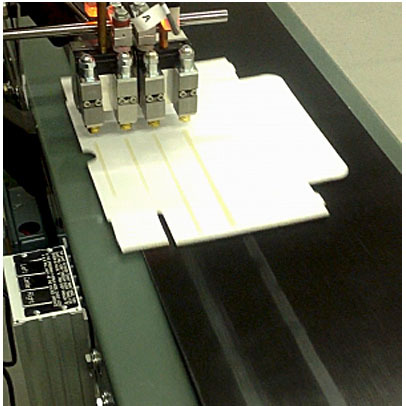 If you are placing glue on your products by hand, why not look at semi-automating the process? Gluing is often the most tedious and dangerous (350 degree glue) part of your packaging job. Our custom glue tables can place the glue precisely and accurately without your worker needing to handle glue guns. Messy “stringing” and dripping of the glue is eliminated with controllers that are accurate to 1 millisecond. Our experience has shown that you will realize a rapid return on your investment when using these systems. Call us today to discuss your application requirements.